We often find deer asleep in our front yard down by the pond if we’re out and about after dark. 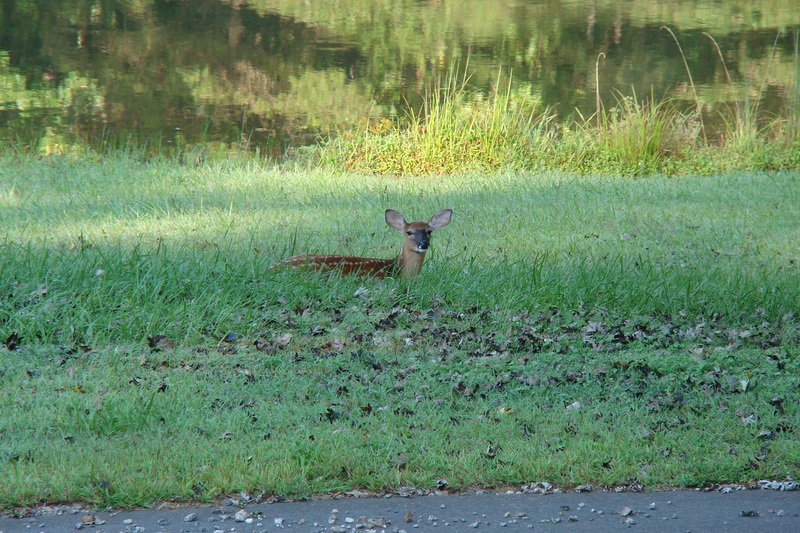 This morning, one of the fawns that lives in our woods was lingering down by the pond underneath one of our maple trees. Just lovely. 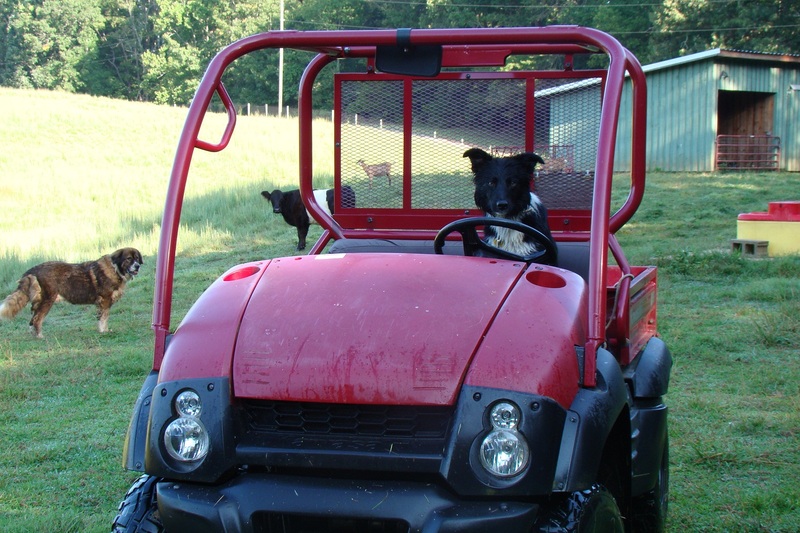 Jack takes his favorite spot in our Mule. Milos, Jessica and Mina look wonder when their burn behind the wheel will come. Our girls surprised us with an early 25th anniversary present last week. They gave us VIP tickets to the Asheville Food and Wine Festival! They searched around for things within driving distance that they thought we’d enjoy and gave us a complete itinerary for the weekend. We had time before the festival opened to do an art gallery stroll and hit a few amazing antique and craft shops. Our tickets got us in 90 minutes before general admission to sample awesome wines and food from 300 different vendors. They got us a ‘skyview’ room just 4 blocks from the festival and sent us to the NC arboretum the next morning to see their Wicked Plants exhibit. On our way back home we had breakfast at the farmer’s market. We had an amazing time that we’ll never forget! 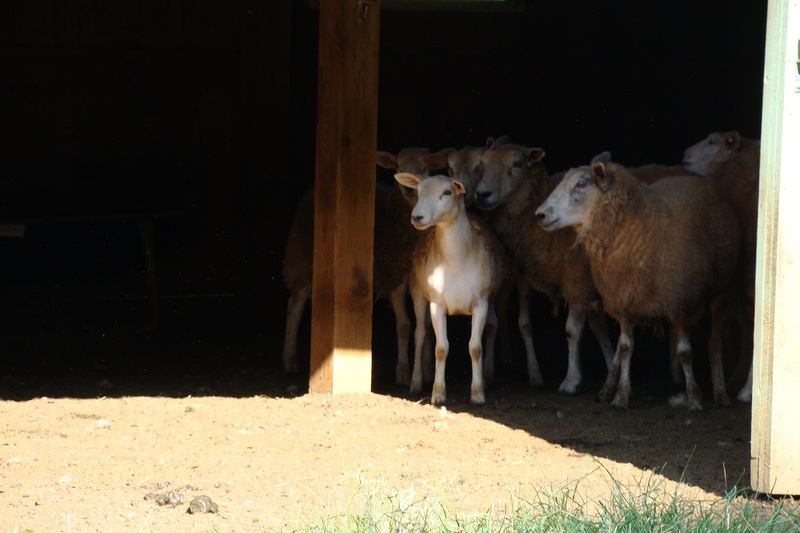 Our sheep run into the barn when they think our border collie Jack isn’t looking. Can’t chase us if you can’t find us. 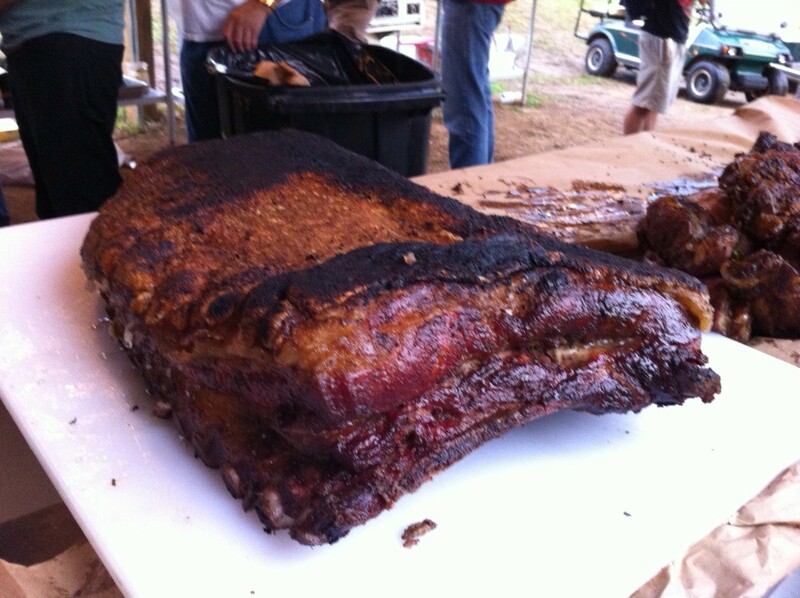 James Beard nominee Craig Deihl boned and rolled a whole lamb for spit roasting. It was an amazing thing to watch. When he was done, someone asked him how many time he’d done that before. His response? “I’ve always wanted to do that.” I would love to visit his restaurant in Charleston. We just need to make that happen sooner than later. What did he do with the bones? Lamb stock of course! Smoked pork belly. Holy crap.